Greetings from Tromaville! Uncle Lloyd wants you to donate to “Special. 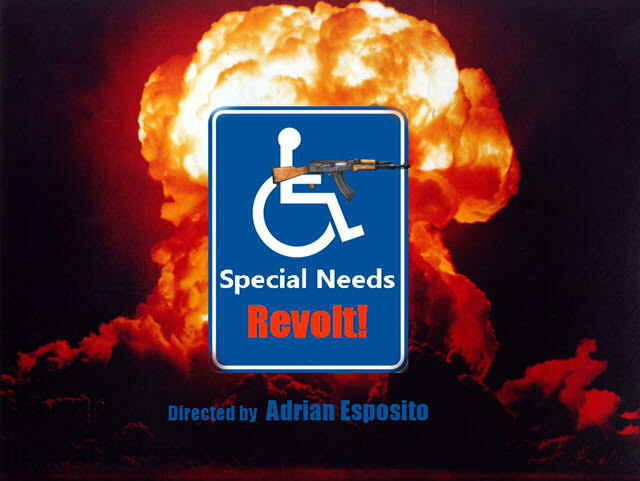 Needs Revolt!” It’s a new feature from Adrian Esposito, who made the documentary “Greetings from Tromaville.” The new movie features the screen’s first Down syndrome action hero, who saves the USA from the evil clutches of a dictator president played by Bill Weeden, “The Evil One” of “Sgt. Kabukiman N.Y.P.D.” This movie is going to be fantastic and you’ll be glad you helped it along. Go for it! Donate here: https://www.indiegogo.com/projects/special-needs-revolt#/… and tell them Uncle Lloyd sent you! This entry was posted on Friday, September 28th, 2018 at 5:09 pm	and is filed under News. You can follow any responses to this entry through the RSS 2.0 feed. You can leave a response, or trackback from your own site.